Olympic Gold Medallist and World Champion Swimmer , Motivational Speaker. Greg Louganis is considered to be one of the world’s best divers. He’s a five-time World Champion, won 47 national championship titles and was the first man to win two Gold Medals in diving in two consecutive Olympiads. Louganis became a United States national treasure when he won a silver medal at the 1976 Montreal Olympics on platform at the tender age of 16. He qualified for springboard and platform for the 1980 Olympics, which were boycotted, and went on to be the first male diver to get double gold in springboard and platform in the 1984 Los Angeles and 1988 Seoul Olympics. 1988 was not only the year Louganis made Olympic history, but also the year he tested positive for HIV. After coming to terms with his diagnosis, Louganis collaborated with Eric Marcus to write his autobiography Breaking the Surface, which spent five weeks at number one on the New York Times bestseller list. Audiences learn of a man breaking free of a lifetime of silence and isolation. Louganis reveals the strenuous work he put in to reach ultimate athletic success, but his mental health issues, lack of confidence and self-worth kept him from true happiness. It was only after coming out as an HIV-positive gay man that he was able to find peace and start to help others fighting personal battles. The success of the book landed him interviews with Barbara Walters and Oprah Winfrey, was made into the popular Showtime movie Breaking the Surface: The Greg Louganis Story starring Mario Lopez and lead to his second book, For the Life of Your Dog. With Co-Author Betsy Siino, he wrote a canine care book from birth to death and everything in between for the conscientious owner. Louganis has set up a scholarship fund with GLBTQ Online High School to help Gay, Lesbian, Bisexual, Transgender and Questioning Youth to get an education in a safe environment. He also co-owns a non-profit organization, Greg Louganis; Positively Pet Fund, which help patients living with HIV/AIDS with their pet care needs. Louganis continues to speak nationally and was part of the MEDCO Tour of Champions, a very select group of standout Olympians (2007/2008). Today, Greg Louganis speaks out on the obstacles he has overcome with a warmth and grace that embody the Olympic spirit. A popular speaker for universities, community associations, healthcare organizations, and corporate groups, his honest message of acceptance and understanding has inspired millions around the world. Louganis is never one to give up, even in the face of adversity. This was clear when he pulled off one of the most-publicized moments in sports history; after hitting his head on the board in the prelims, he came back to win the three-meter finals as if the accident never happened. His passion to overcome the odds and to fight for equality is what makes him a unique keynoter and powerful story teller. In this presentation, Greg Louganis opens up about every obstacle he had to overcome thus far in his life: from becoming a fine tuned Olympic athlete to announcing his HIV positive status and being openly gay to recovering from and managing mental health and substance abuse issues. Louganis’s honesty and down to earth nature will inspire practitioners, consumers of services and struggling individuals and families to embrace hope and find a passion for never giving in. 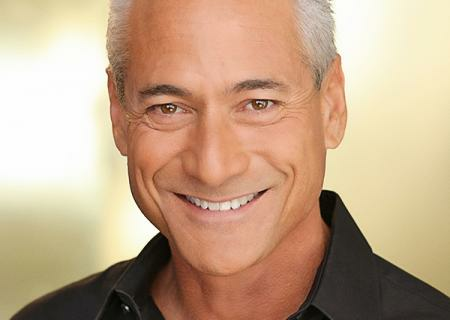 Having struggled through his recovery from drug and alcohol use, fighting depression and the difficult transition out of highly competitive sports, Olympic Hero Greg Louganis helps audiences understand what it takes to create real life balance and make healthier choices. In this keynote Greg Louganis discusses with audiences the latest movements in the LGBT community to combat stigma. The speech includes his perspective on Marriage Equality, the new Anti Propaganda Laws in Russia as they affect the Olympics and other critical themes. Meditation in motion is one of Greg Louganis’s driving principals. But how to get there is a complicated journey, and no one should do it alone. In this keynote, Louganis emphasizes the values of teamwork, whether one is competing in an individual sport, within the workforce or in corporate settings.